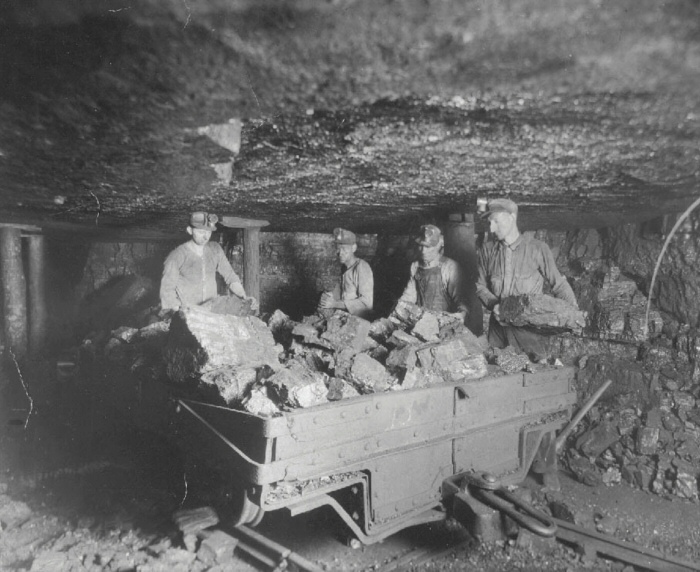 Miners hand loading coal into car, date unknown. 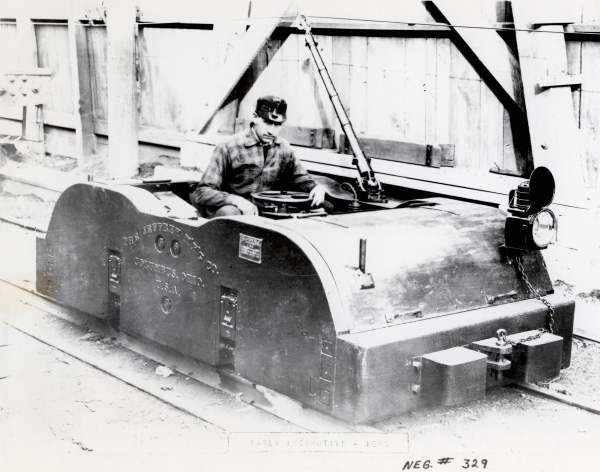 This old photo was taken in 1890 of a mine locomotive. 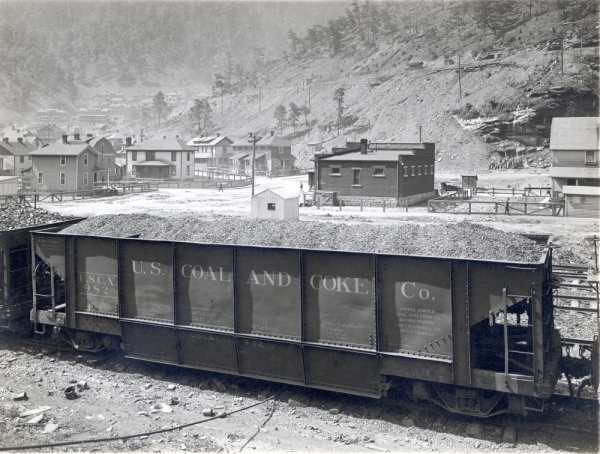 This old photo was taken in the mid 1920's for U.S. Coal And Coke Co. in Lynch, Ky. 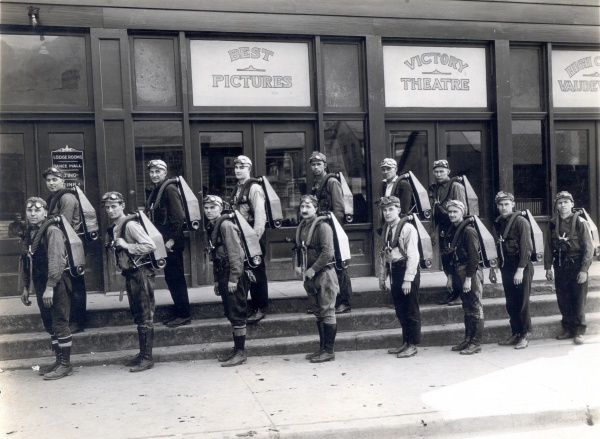 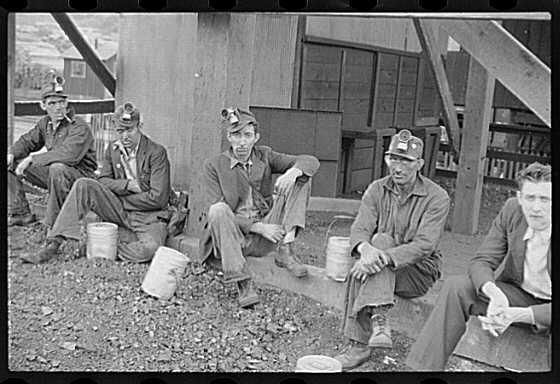 Here is an old photo showing a group of miners from Jenkins Kentucky. 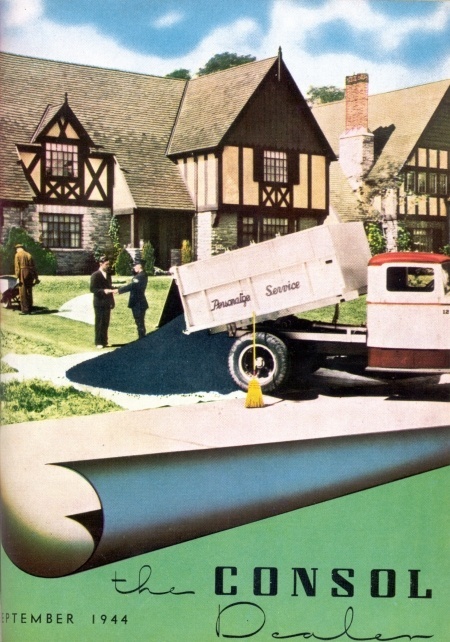 Here is an old advertisement in "The Consol Dealer" a publication from December 1944, provided by David A. Zegeer. 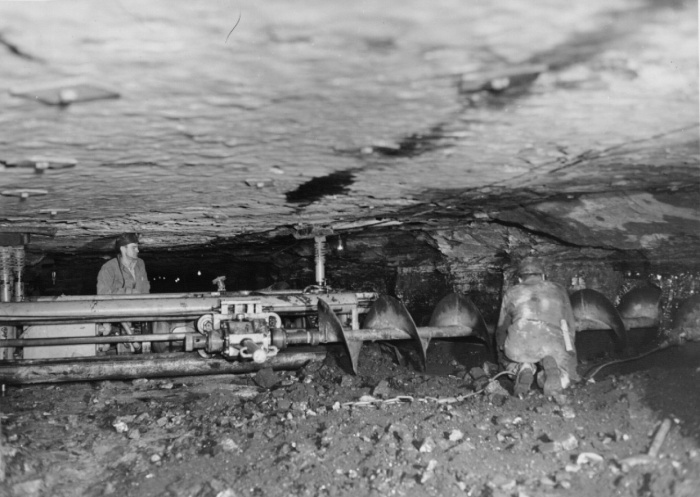 Photo showing an underground auger machine being used in a mine operated by Consol near Jenkins, KY about 1953, provided by David A. Zegeer. 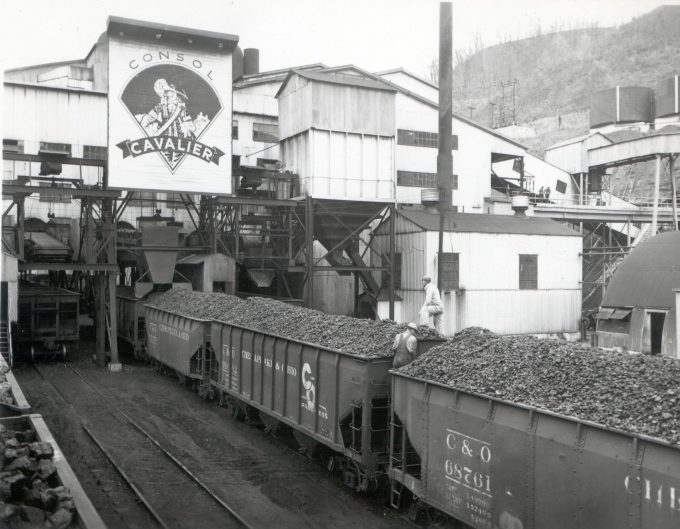 Photo showing the Jenkins plant operated by Consol in Dunham, KY about 1950, provided by David A. Zegeer. 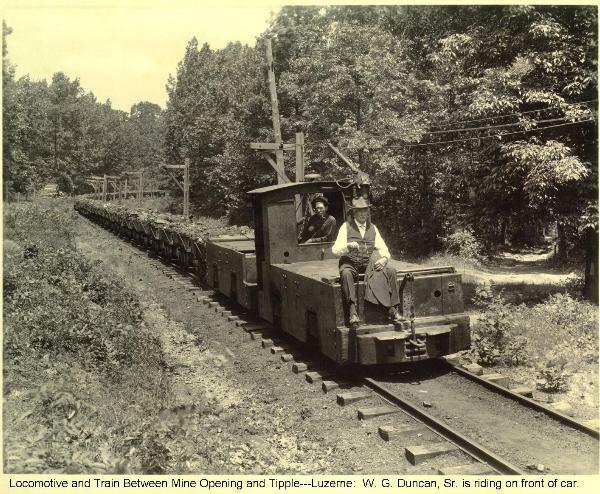 Photo taken about 1921, shows a mine rescue team in front of the U.S. Coal & Coke Company Commissary, a subsidiary of U.S. Steel in Lynch, KY.
Photo taken about 1920, shows locomotive and train between mine opening & tipple near Luzerne, KY.